Businesses, small and large, have started to embrace the concept of a remote workplace and remote team coordination. Even start-ups have jumped on the bandwagon. Surveys have shown that remote workers put in more hours compared to their in-office hours. The impact of the employee hours is seen in the bookkeeping records of a company. Remote work also drives you to improve communication since a lot is done in writing. However, if you are handling a remote team, how will you truly be sure that the entire team is staying productive, working on their tasks, and collaborating appropriately? With the help of a selection of online tools, you can make sure that your team is humming along daily with efficiency. 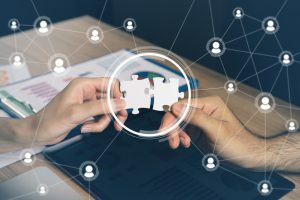 Despite the fact that there are some obvious gains and benefits in managing a remote team, businesses still have to take the problem of collaboration and coordination into account. Opportunely, the internet has helped to offer a solution. Below are some technology advances that have happened to make things simpler and easier for remote workers and employees to work together. They were once labeled the email killers. Despite the fact that this may tend to be somewhat of an exaggeration and that email remains the utmost significant communication tool, these new online collaboration tools provide a substitute communications platform. This platform makes online collaboration a lot more efficient. Email might tend to be good and effective for a small team dealing with instant communications. On the other hand, the number of workers increases and there is a chance that some email replies might get lost. The majority of cloud collaboration tools are used by means of project management tools, which helps a manager keep track of their team’s progress and also informs every person about the goals and milestones achieved. These are tools that will allow you to assign tasks, create goals, and create tickets. What’s vital is that these tools will give a platform to you as well as your team where each and every person is on the same page. Years ago, video conferencing was considered as much of a nuisance as managing live meetings. This is because these types of meetings required expensive specialized equipment. Therefore, people had to come together in one conference room that had one video conferencing device as a way to talk to the other person located in another region. Luckily, there have been innovations and improvements in video conferencing that have changed all of that. With the help of cloud-hosted video conferencing tools, all team members can join the conference no matter where they are located. All they need is a personal computer or a tablet. Even a smartphone will work. As long as the device has an internet connection and a camera, that member can be a part of the meeting. Besides from the advantage of modern video conferences being more accessible, it is also easier to cooperate with each other with the help of simple tools such as screen sharing. Opposed to attaching giant files in your emails as attachments, you can now share the files through sharing apps and cloud storage. Apps such as Dropbox will allow everyone to share and access files through the internet. How Does Cloud Hosting Build Trust Through Transparency?